Now, let’s learn about the foods that you can readily find not only at your grocery store, but in your farmer’s market or CSA and which you could also easily grow on your own. These provide great support for your vision health. You probably know already that when you boil vegetables in a lot of water and drain it you are draining away much of the nutrient value, especially for water-soluble vitamins like vitamin C, B6 and folate (a B vitamin).1 For those of you like to buy pre-chopped/shredded/pureed vegetables: antioxidant loss is great and rapid when foods are processed due to the release of oxidizing enzymes. Vegetables shouldn’t be chopped until right before they go into the pan for greatest value. For out of season vegetables, frozen may be more nutritious than fresh. Why? Out of season vegetables have been shipped a long ways or have been stored for a long time. Frozen vegetables, on the other hand, generally are frozen at peak ripeness right after picking. The first step for freezing most produce is blanching to stop enzyme activity. This does break down the C and B vitamins, but the flash-freeze process which follows does lock in nutrients. Nonetheless, if you are at risk for eye conditions, including macular degeneration, cataracts, glaucoma, and others — either through genetic inheritance or your lifestyle and work habits or have any of these eye conditions, then targeted supplementation makes sense. Also see our article on tips for vitamin intake. The lutein that comes from red bell peppers supports the density of macular tissue more than lutein from green leafy vegetables. Red peppers contain these vision-supporting antioxidant compounds: capsanthin, violaxanthin, lutein, quercetin, and luteolin. One 100g of red pepper contains 169-213% of the vitamin C you need and 101% of vitamin A. Red pepper also contains lots of B6, K1, potassium, folic acid, vitamin E and vitamin A. Around your peppers, grow parsley. It also likes full sun, and appreciates the water and nutrients that peppers enjoy. Parsley is a terrific source of nutrients. Chopped into a salad, parsley gives a lovely bite that stimulates digestion. Add it generously to potatoes and any stew or soup. One-half cup yields these RDV amounts: vitamin A (50%), vitamin C (65%), vitamin K (615%), folate (11%), iron (10%) and much more. Spinach is rich in nutrients for your eyes. It contains lots of the plant compounds including lutein, quercetin and zeaxanthin, all essential for good vision. One cup of raw servings supplies the following nutrients: vitamin A (50%), vitamin K (181%), folate (15%), vitamin E (3%). You can easily grow enough spinach for salads in a small area, though for cooking you’ll need more space. Their deep green leaves like spinach are very rich in nutrients and are delicious lightly steamed or sautéed. 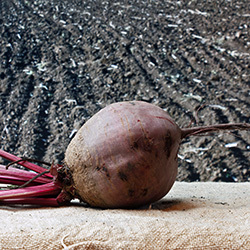 You can enjoy the beet greens in the early spring and then the mature greens when you harvest the beetroots. Chard is another lovely leafy green that is extremely hardy, and flourishes all summer even in very hot weather when spinach fades. It is not fussy about soil that is reasonably loamy and just keeps on producing leaves. Keep it watered. You get a number of varieties with a rainbow of colored stems. Those stems are good too. Just chop them in short bits and saute or steam them a few minutes before you add the leaves. Or save the chopped stems in your freezer for soup or stew. Like spinach it is full of nutrients. Kale is the hero of deep leafy greens, with Lucinato kale’s deep green, almost black color being the king. Both Lucinato kale and Russian kale are not only beautiful and easy to grow but easy to pick and clean. There are a few varieties found in grocers — the most common are the curly or Scots kales. But both Russian and Lucinato are more beautiful, have more nutrients and are tastier. Kale is loaded with nutrients. It has large amounts of the antioxidant flavonoids quercetin and kaempferol and thirty other recently identified phenolic compounds.4 A cup of chopped kale provides 205% of vitamin A, 134% of vitamin C, 684% of vitamin D, 9% of vitamin B6, and plenty of the B vitamins (not much B12), as well as many minerals. Scotch or curly kale provides the same nutrients but in much smaller quantities. Blueberries and raspberries are two small fruits you can readily find in farmer’s markets and easily grow on your own if you have the inclination. If buying at your local grocers’ then frozen berries will have more nutritional value.